Gastric sleeve surgery is a relatively new weight loss surgery procedure that is simpler to control and maintain than gastric bypass. 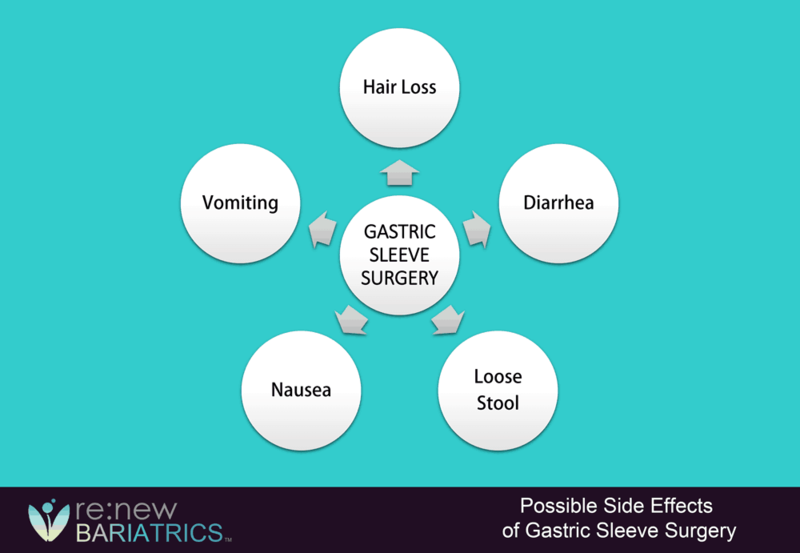 Unfortunately, the side effects resulting from gastric sleeve surgery may be uncomfortable. In comparison with other bariatric surgeries, gastric sleeve is one of the best options for bariatric operations, because it has typically fewer side effects. We lose 5 to 100 hairs on a daily basis. However, several patients may lose hair during the fast weight loss process. As you get closer to your weight goal, the hair loss will reduce. Hair loss is not such a big issue to fret over unless your physician is worried about malnutrition. Hair supplements may assist slowing down the rate of hair loss. Diarrhea and loose stools may be common and quite familiar with gastric sleeve surgery. 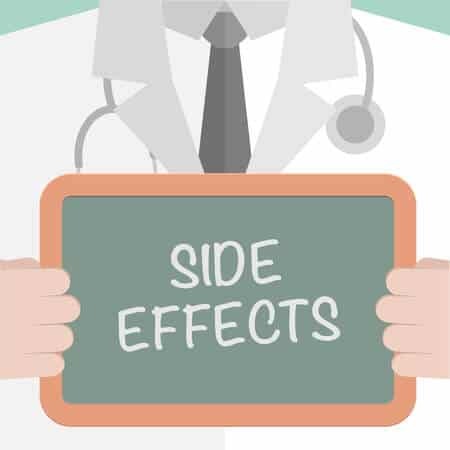 These side effects may occur many months after surgery. Due to the initial stage of the postoperative diet being mostly liquids, several patients will possess loose stools and regular bathroom usage. Fortunately, it should not be a permanent issue, and as the patients continue to more solid foods, they should notice the issue reducing. Increase the liquid intake if you have constipation. The aftermath of the surgery may cause nausea which may be treated with medication prescribed by your physician. A natural remedy for nausea is decaffeinated green tea. Most of the time, nausea occurs when the patient eats more than necessary, drinks liquids while eating, eats too fast or does not chew food well enough. Nausea should diminish once the patient gets used to the new eating patterns and the amount of food that is recommended for them. To fight nausea, patients should eat and drink at a slower and more careful pace. Furthermore, the patient should not drink while eating because it may lead to him or her getting full of liquids as opposed to the nutritious meals that are meant to encourage weight loss and give energy. Vomiting may happen due to attempting to eat unfamiliar foods or nausea. If vomiting occurs, it is critical to return to the no-solid fluid-only diet for a day before trying solid foods again and not to throw them up. If vomiting is frequent and cannot be avoided, it might be a sign of a major issue, and you should contact your physician right away. Maybe one of the hazardous side effects is esophagus stretching or dilation. These may happen due to too much vomiting, binge eating or a stomach obstruction. The latter may be caused by either food or internal swelling. Gastric sleeve surgery also poses common risks such as bleeding, organ injury, and infection. It is necessary to fully comprehend all the side effects and risks before selecting any bariatric surgery. Learn how to undergo affordable VSG in Tijuana, Mexico with one of Renew Bariatrics leading bariatric surgeons. Get a free consultation with our staff.